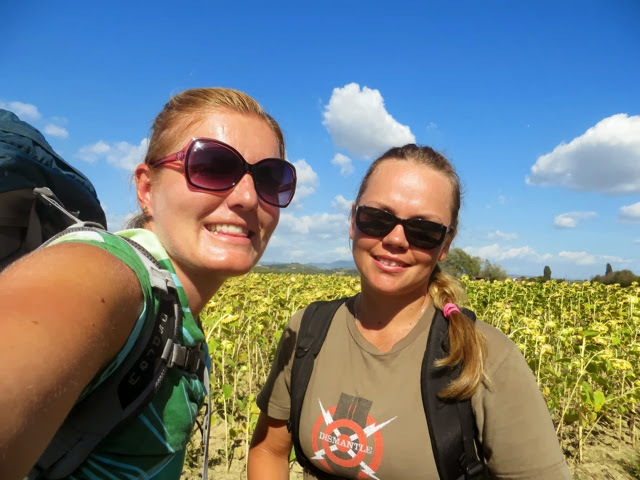 Walking has been interesting since we some how managed to get lost ...... but I guess this is what happens when two blondes are let loose on the trail. 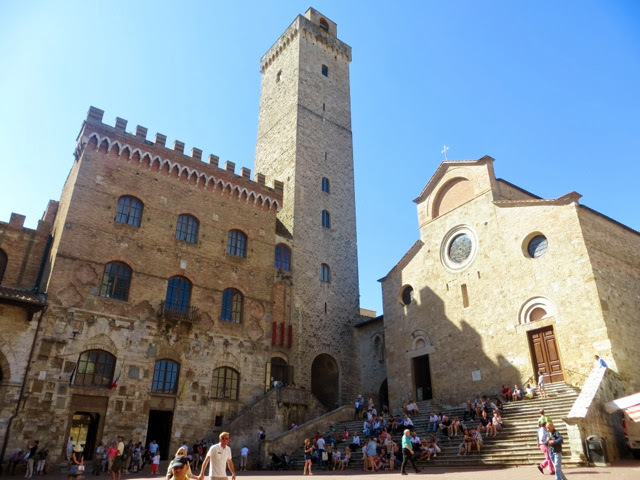 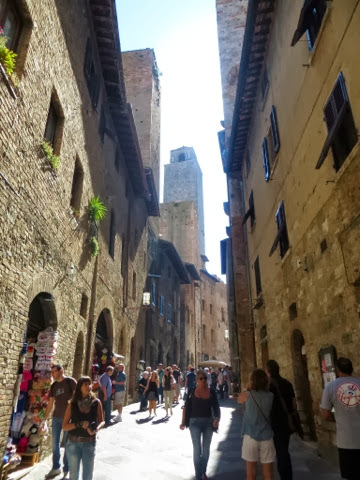 Though sweaty and tired we were pleasantly surprised as we entered the medieval town of San Gimignano. 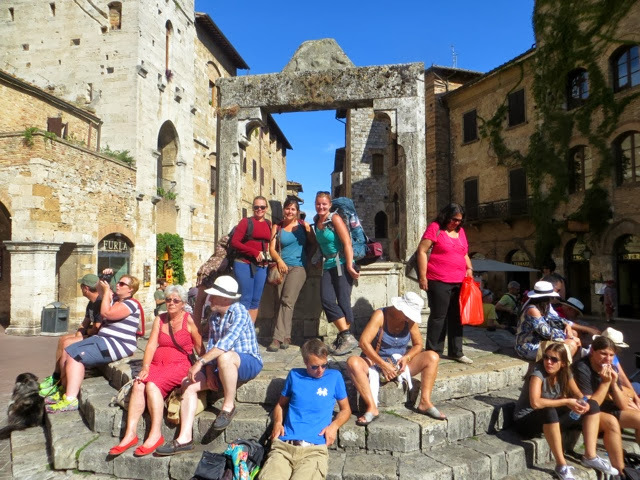 As we entered the Piazza Della Cisterna you could definitely spot us in the crowd. 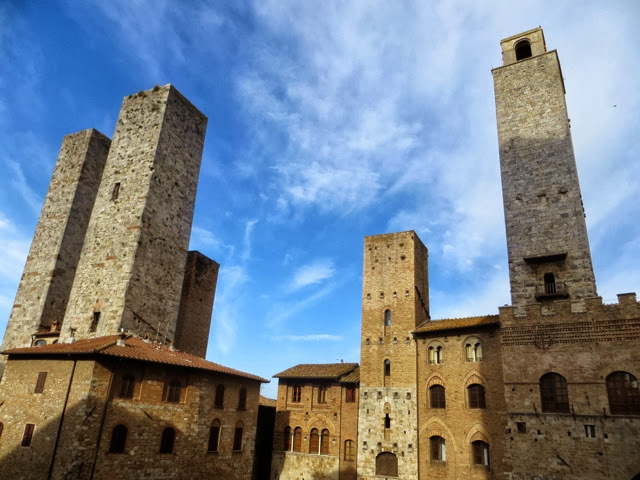 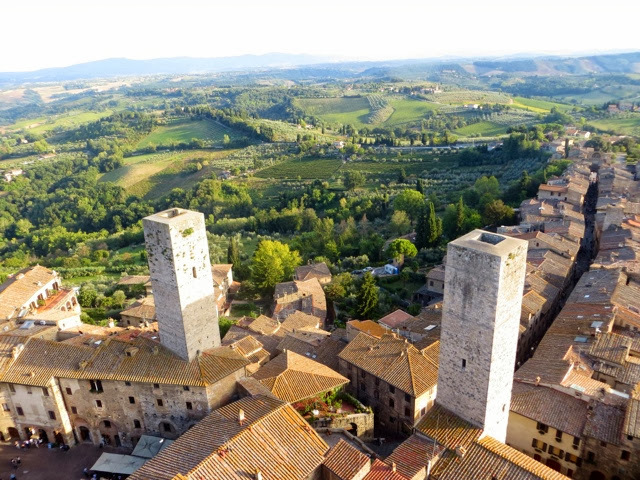 Founded by the Etruscan's the town stands 334m above sea level and was home to 72 towers of which 14 remain standing today. 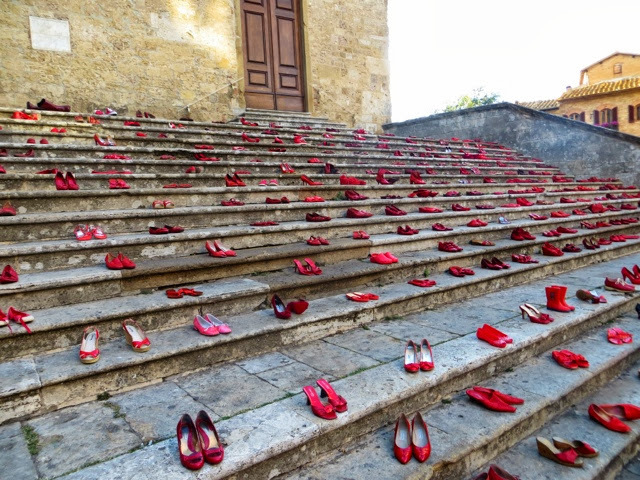 Since I am walking for world peace and equality for all it was a privilege to witness an artistic protest against Violence Against Women organized on the steps of the Duomo. 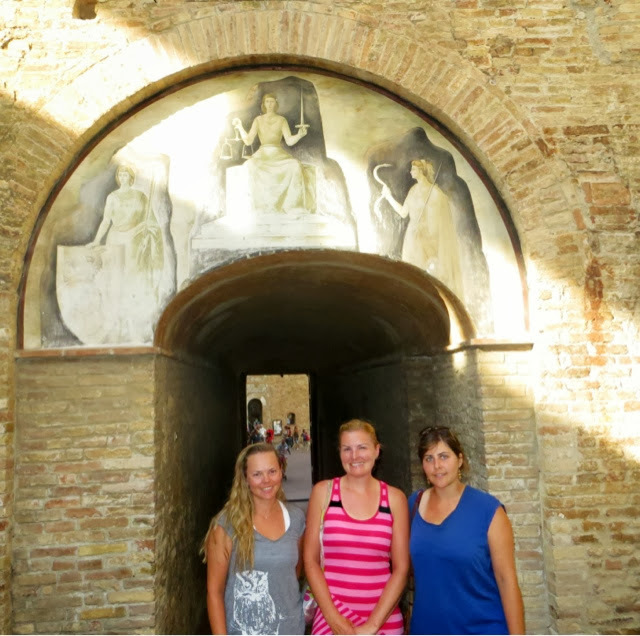 For the past couple of days we have been spending our evenings with the lovely Pauline from France, here the three of us stand together below some great women of the past.